Gift shopping commonly proves to be a challenge. For ladies, watches are always a good idea. However, selecting the exact watch may be difficult. It helps if you know a few things about the recipient, but here are some more tips that can come in handy. A watch should be able to match the wearer’s lifestyle. For example, if she tends to be active and outdoorsy, a sport watch would be best. Sport watches have rubber bands, digital interface, timer, stopwatch, GPS, and are good for running, hiking, and other sports. Casual watches usually have large faces, are without jewels, and the band is leather or metal. Dress and fashion watches have gemstones, but can have metal or fine leather bands, while fashion watches have their faces integrated into a bracelet rather than a band. 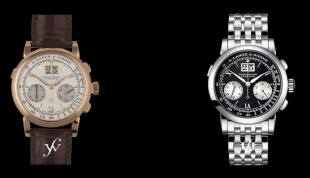 While sport watches rely more on functionality, casual, dress, and fashion watches rely more on appearance. They should look good on the wearer, so matching them with her features and wardrobe are important. White watches are more suited for fair skinned women who tend to wear lighter clothes, while black watches complement darker colors and bolder physical features. Neutral tones, such as silver, go well with a variety of colors and physical features, and are subtler than black or white. How proportionate a watch is to a woman also influences how it looks on her. Taller women should receive watches with larger face and wider bands, while smaller watches and thinner band complement petite women. If you are looking for a watch with more versatility, you should consider a model that has interchangeable bands. Many watches have faces that fit different kinds of bands for different occasions. For instance, a leather band can make a watch look more casual, but a metal band gives it a dressier look. If you are torn between buying a casual or dress watch, interchangeable bands can be ideal so that she can wear her watch in different settings. It may be difficult to get the exact size of a woman’s wrist if the watch is meant to be a gift. Therefore, opting for a leather or rubber wristbands is better than choosing metal because they possess a series of holes that can make it longer or shorter. Metal bands do not have this, and in order to make it smaller, a jeweler will have to remove a link or two. Though this is relatively inexpensive, buying and installing extra links often adds up. Buying a watch for that special lady in your life is always a good idea. If you are looking to purchase a women’s watch, take a look at the watches offered by FinestWatches.com.